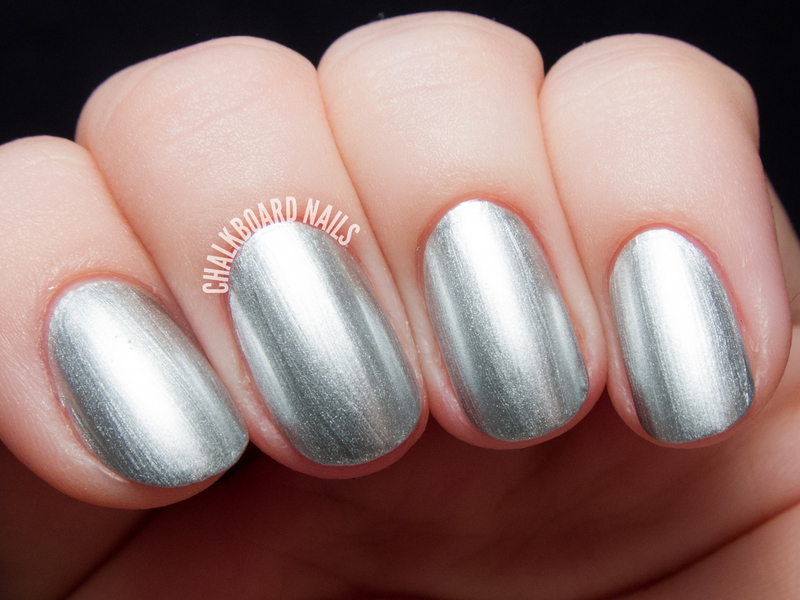 Excalibur Renaissance is a highly pigmented silver chrome. It has some brushstrokes when applied, but they do minimize as the polish dries down. It needs just one coat, but I've used two here for good measure in photographs. It's highly reflective and really beautiful! It's also my understanding that Excalibur Renaissance is a reissue of a shade that had been previously retired. I can see why it was brought back! 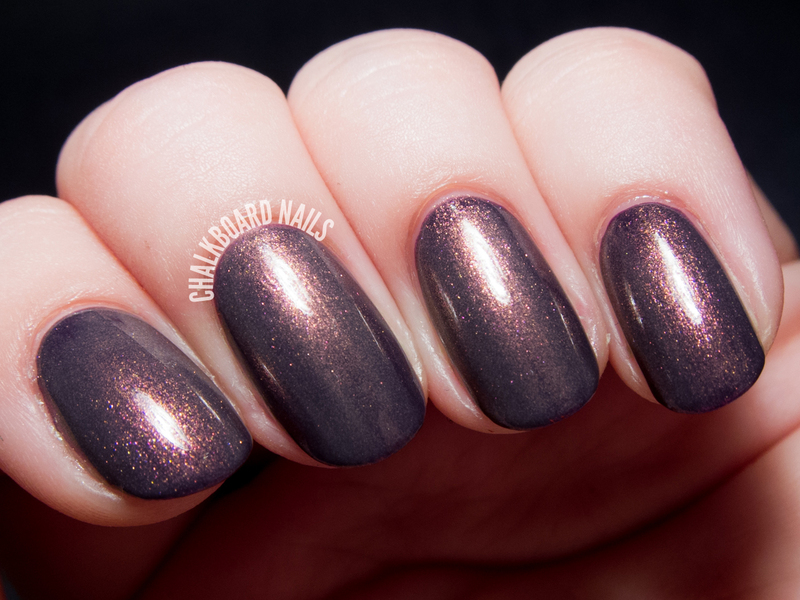 Hurt No Living Thing is a sheer grey polish with a pink-to-orange shimmer. Unfortunately my camera has some difficulty capturing pinks, so the shimmer isn't as punchy in my photos as it is in person. I applied four coats for the swatch below and you can still see a bit of visible nail line, so I think it's safe to say that it is not meant to be opaque when worn alone. You can also layer it over other polishes to transform the look. I started with a base of OPI A Grape Affair for the look below, and then added two coats of Hurt No Living Thing. I tried using just one coat at first, but the milky grey base was a little too streaky over such a dark base. However, I found that it did even out with the addition of a second coat. Excalibur Renaissance is a real winner. The full coverage silver is just perfection. Hurt No Living Thing is nice, but a bit too subtle for my tastes. I wish that the grey base went further in either direction: more opaque for buildability or less opaque to put more of a focus on the shimmer as a topper. UK residents can purchase directly from A-England, while others can check the "Where to Buy" page to review stockists. Is Excalibur Renaissance the same as Excalibur from a couple of years ago? I believe it is a reformulated version. These are stunning. I especially like Renaissance. 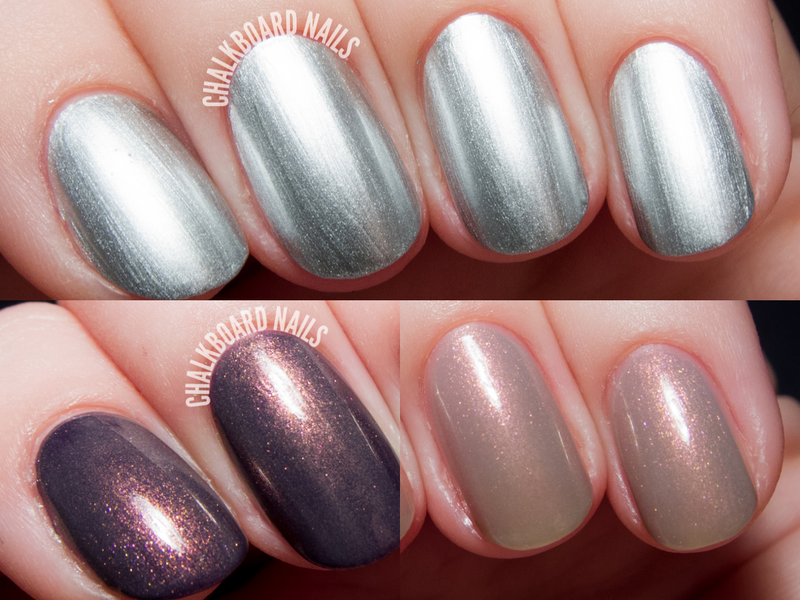 How does it compare to OPI Push and Shove or SH Sterling Silver? Just posted a comparison on my Instagram @chalkboardnails for you!